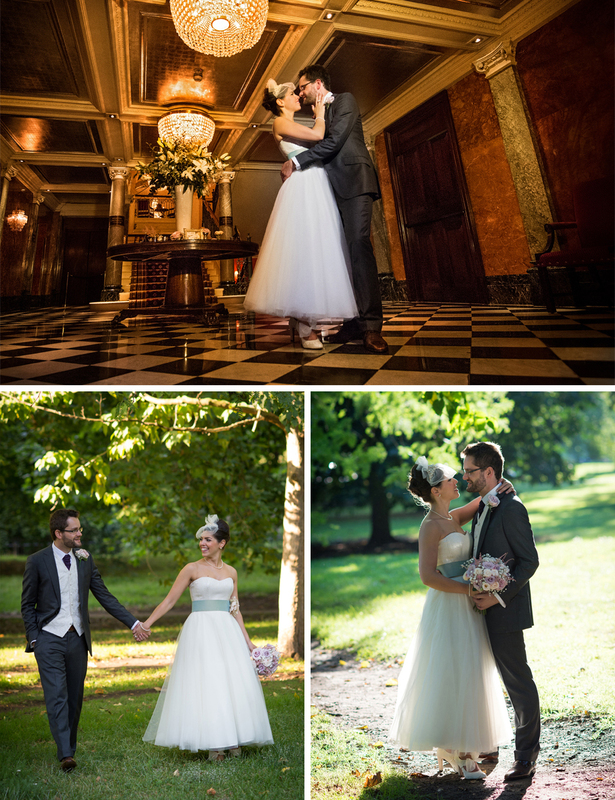 Philippa and Andrew’s big day is the epitome of romantic elegance. The exquisite colour scheme of purples, greys, golds and pastels pervades everything in their wedding; it’s present in Philippa’s luscious bouquet (that frankly looks good enough to eat) and their beautiful dessert table too… right down to the invitations, menus and lighting. Anyway I won’t delay you any further; go on check out Philippa and Andrew’s splendid day for yourselves: ogle over the gorgeous imagery by Mark Seymour and, at the end of the post, the wonderfully atmospheric film by The Dreamcatchers. A countryside wedding was our original plan, however this was proving difficult because at the time we had 200 guests to invite. 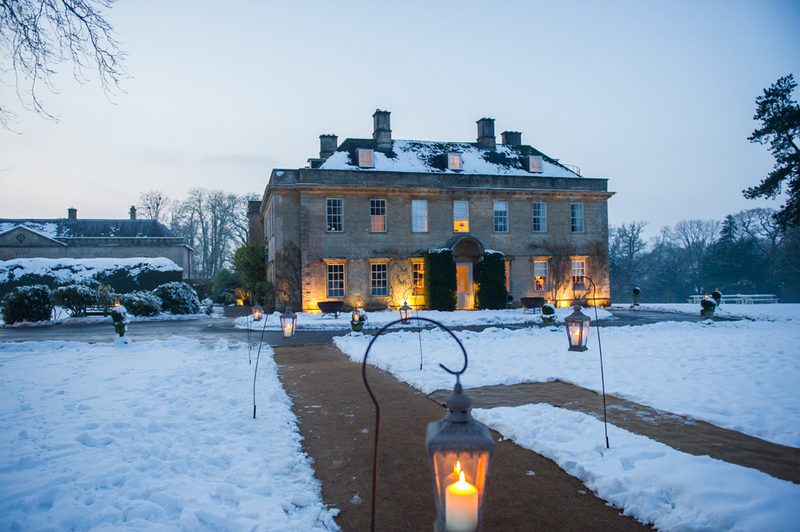 We didn’t want to go to a beautiful countryside manor and have to use a marquee — what’s the point of going to a stunning location to be put in a marquee and have to spend thousands dressing it? So we decided that interior was key and the Mandarin Oriental was the perfect answer. We had the best of both worlds, a beautiful ballroom with Hyde Park literally on your door step. We went for a ‘romantic and elegant’ theme. Being a makeup artist I love to mood board so this was always going to be a fun task . The colour scheme and the style of the wedding was so important. Purple was the chosen dominant colour used throughout the wedding on the invitations, menus, flowers, ties etc) with greys, golds and different coloured pastels to compliment. The ballroom was dripping in gold and had lots of huge mirrors inside and so the romantic mood was enhanced with soft purple and pink lighting. 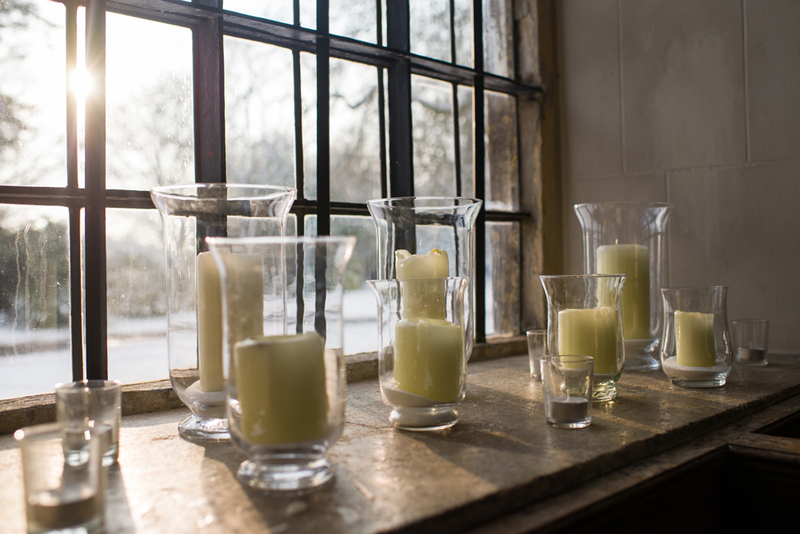 Candelabras were placed on every other table with a small floral display on top & pastel coloured scattered petals on the mirrored base. The alternate tables had a low flower display with tea lights and scattered petals so not to block anyone’s view. Purple was used throughout the flowers in different shades to enhance and compliment the mood. I have no words for Michelle and Richard’s wedding. Truly. I will run out of adjectives trying to describe how magnificent everything is. The details are quite astonishing, the setting is magical, and I love the embracing of both the Scottish and Jewish cultures. 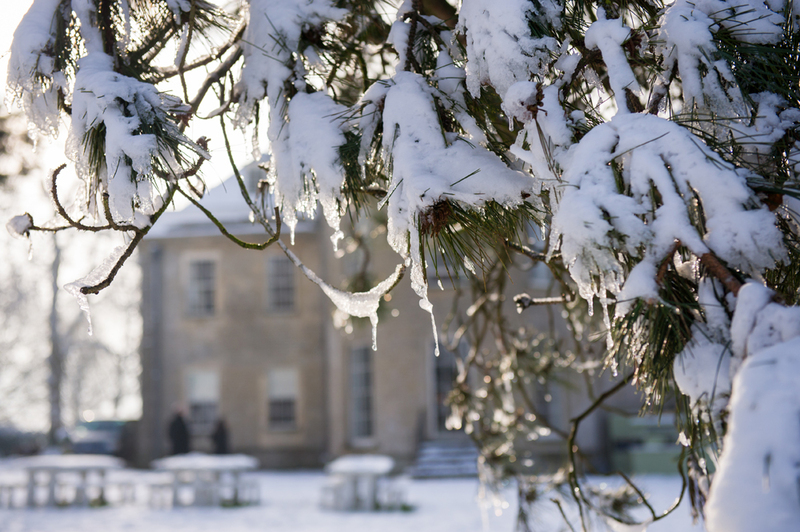 The mix of traditions meld surprisingly beautifully (think the Hora followed by the Ceilidh; haggis bites served alongside potato latkes.. you get the picture – and it works!). 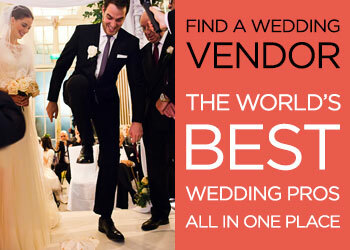 Scroll down and you will see bagpipers playing in the snow, exquisite floral designs, a stunning balletic Mira Zwillinger wedding dress, the most awesome and thoughtful wedding favours, and an incredible video by Gorgeous Films that may very well have you shedding a tear or three with its sheer beauty and sensitivity. Now on top of that I admit that I whooped, hollered and clapped my hands with glee when I found out that with this wedding I’d be showcasing Especially Amy‘s sensational photography. She captures all the details of the day so emotively and she is a well-deserved Smashing Supplier. 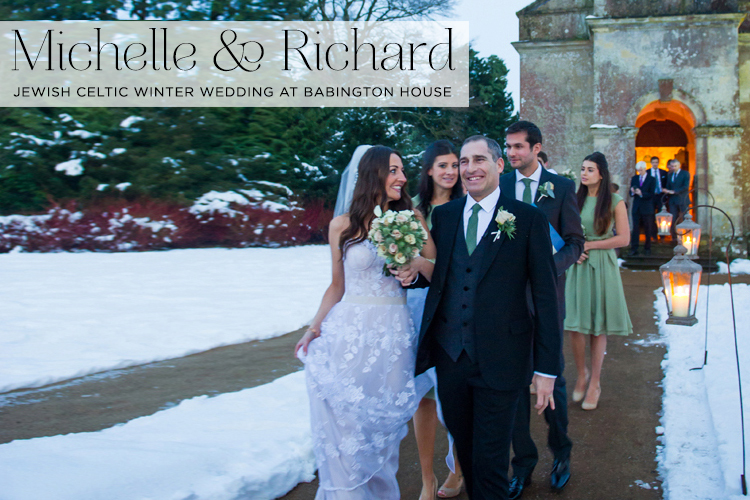 So the lovely Michelle and Richard married back in January of this year (apparently the snowiest January on record) at one of my favourite places in the world, Babington House (part of the Soho House group) in Somerset. They chose this breathtaking venue, not only for its beauty, but because they could also take over the whole place and share the experience with friends and family over a couple of days. 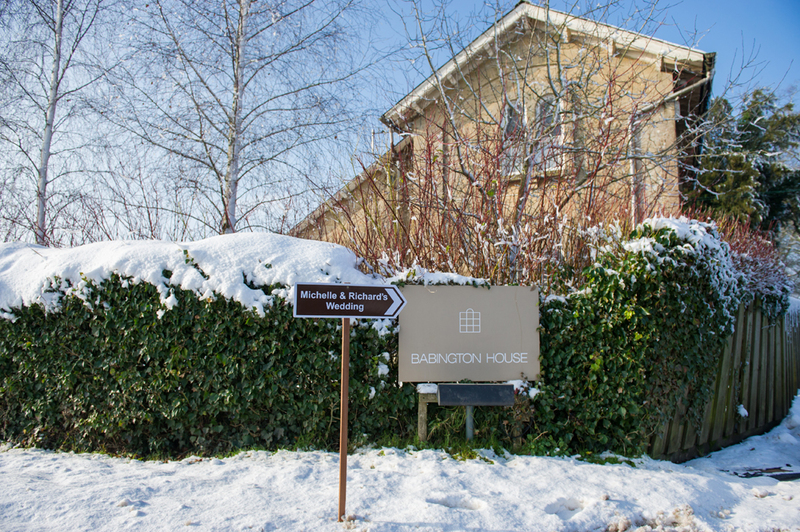 Our chosen venue was Babington House because it’s so very beautiful and because we could take over the whole venue and have our friends and family stay with us overnight and continue the celebrations the following morning. 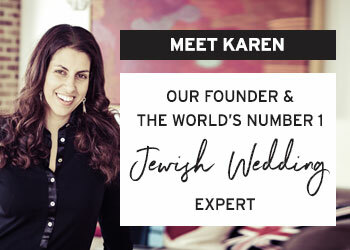 I am really excited to bring you this wonderful craft-filled wedding from over the pond in Conneticut, USA. Our gorgeous couple live in Brooklyn but got married in Connecticut after meeting at university six years ago. Sarah the bride designed so many creative elements of her big day including her stunning wedding dress (with Modern Trousseau), a wonderful ‘papercut-style’ chuppah designed with her very talented mum, our very own Smashing Supplier Jeanette Kuvin Oren, not to mention the beautiful table decorations, and exquisite letterpress invitations. Feast your eyes on their gorgeous day and take in all their lovely DIY details! 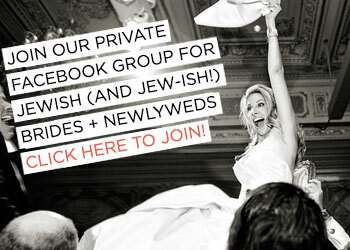 Sarah, the Bride: We booked my synagogue as the ceremony/reception venue. Being a traditional Jewish wedding, this was an appropriate locale. 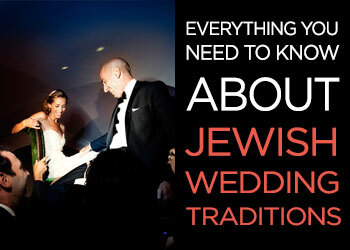 But don’t be fooled by a “lack of pizzazz” if your synagogue’s social hall isn’t as ideal as you’d like it to be. 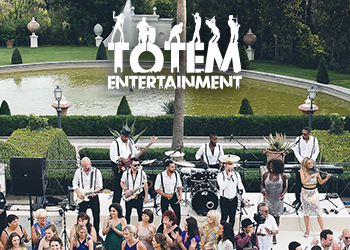 I had a vision, and was able to convert a large, relatively simple space into a stunning wedding reception. No one recognised the room once the decorations and lighting were set up. We also picked this location since we had a large guest list, and many venues would force us to cut our guest list in half (that wasn’t going to happen!). The colour scheme came out through the process of seeing my likes and dislikes regarding dà©cor. I didn’t have a true vision until all the pieces began coming together. I knew I wanted neutral, timeless colours; so I stayed in the beige, tan, ivory genre. When I added gold to the mix, I thought we were set. It looked so beautiful and ethereal. 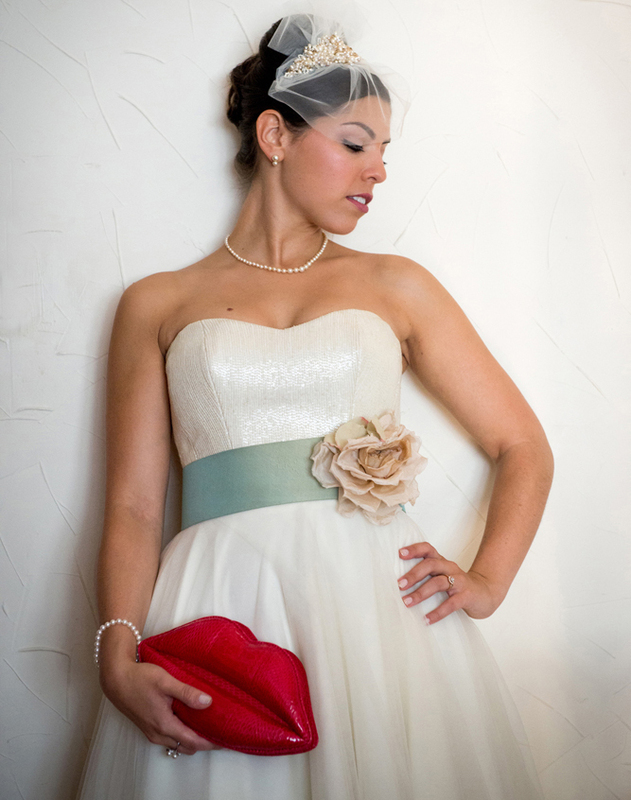 Once I chose my bridal party dresses, the final colour came to be: “Dusty Shale,” a grayish seafoam/teal variety. 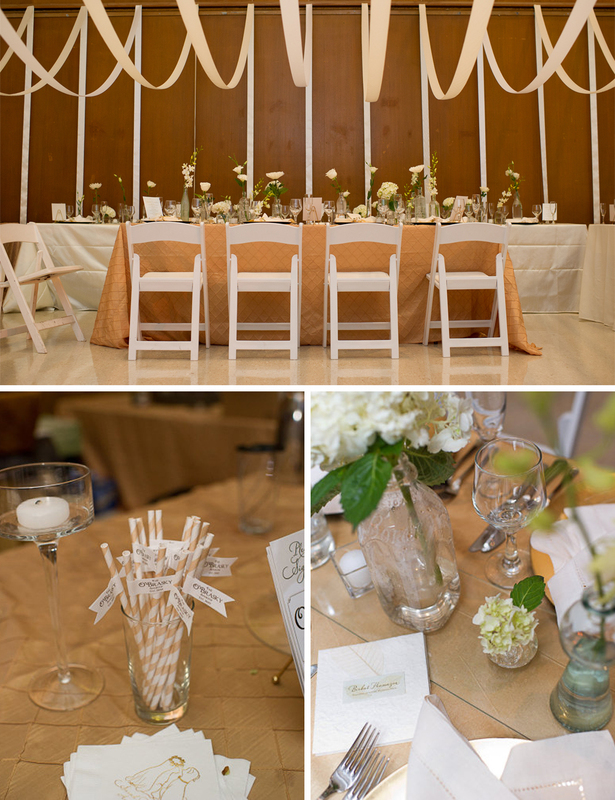 It was a perfect medley of neutral, yet beautiful and timeless colours for a wedding. 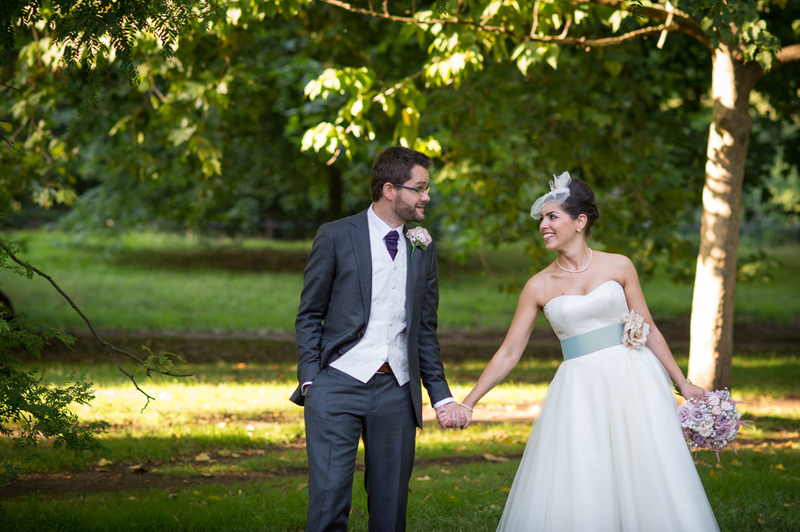 But back to the wedding – I loved Lee Ann’s idea of taking the shade of her apple green sash on her dress and using the fresh green colour throughout all kinds of details on her day. And how did these two meet? Well it’s verrrry romantic: Lee Ann, a Floridian, and Andrà©, a born-and-bred Londoner, married after a whirlwind long-distance romance. They met on a 5-day Caribbean cruise in September 2006, were engaged 6 months later, and were married, less than a year to the day they met, in August 2007. 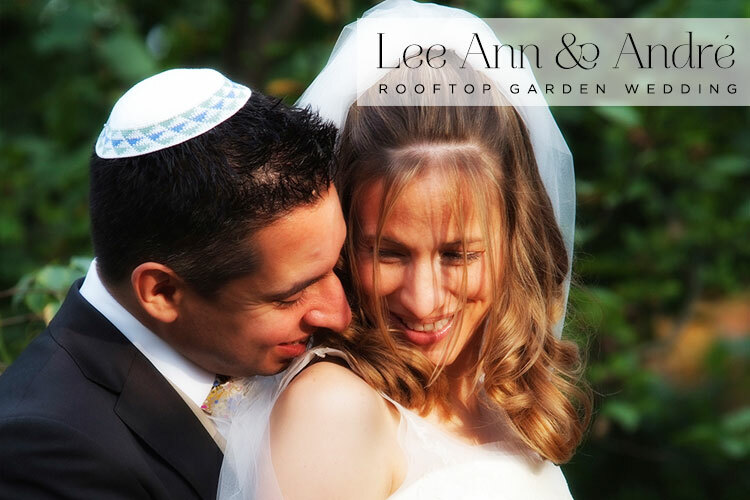 Lee Ann, the Bride: Kensington Roof Gardens was our perfect venue. Towering above central London, the stunning gardens, complete with house flamingoes, seemed like the 8th wonder of the world! We wanted somewhere central as there were quite a few foreign guests in town for only a few days, but equally we wanted a beautiful, garden setting. Nothing could have been more perfect, and to top it all, Claire Vidler and her events term were superb to deal with throughout. 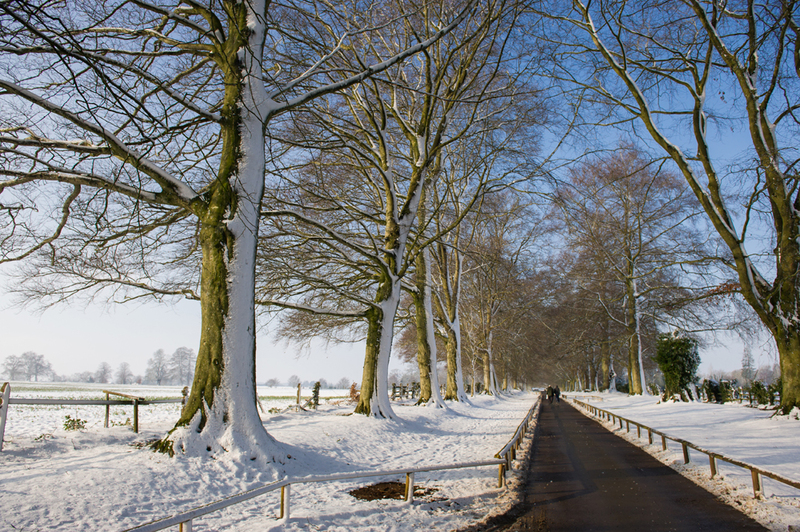 The magic ingredient, of which we have only the Gods to thank, was being blessed with glorious sunshine on the day. My dress was by Vera Wang. I wanted something different and loved the ivory colour teamed with an apple green sash- perfect for our summer garden setting! 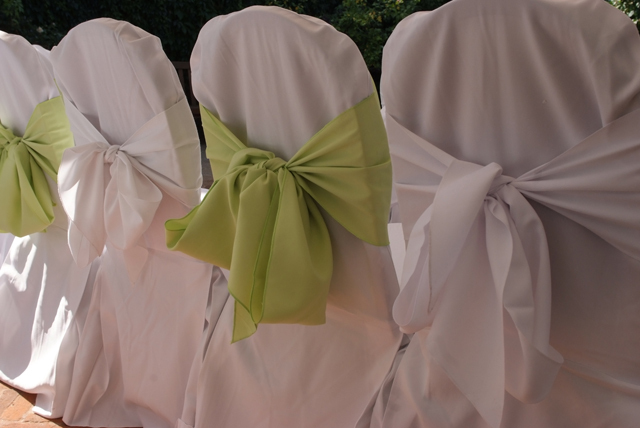 In fact, the colour of the apple green sash set the theme of the wedding throughout, and the same shade was used on the invitation design, and all sorts of details from the sashes on the backs of the chairs to the flowers to the ribbons on the cake to the ketubah illustrations. We used a wonderful florist called Rebecca Fiest. 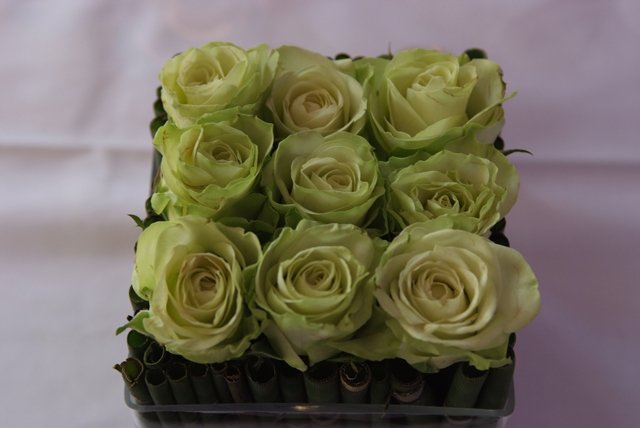 I loved the idea of small arrangements all of one colour, and Rebecca interpreted my ideas sensitively and brilliantly. 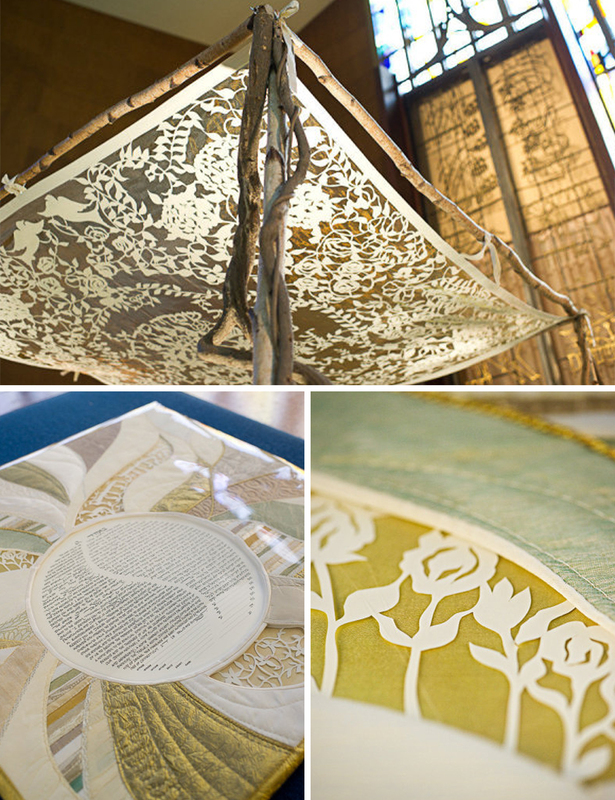 She also did such a beautiful job with the chuppah. I knew I wanted it to be constructed from bamboo poles with fresh spring flowers, and it couldn’t have turned out more beautifully.